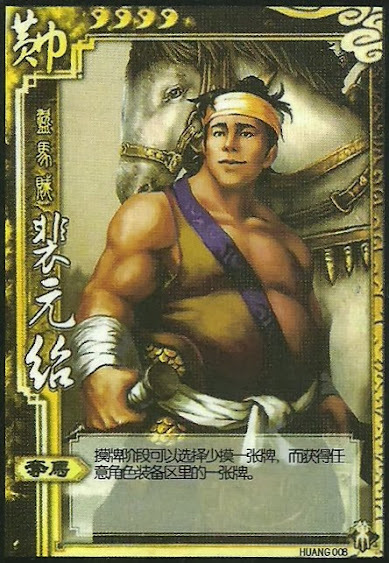 During his drawing phase, Pei Yuan Shao can draw one fewer card and take an equipped card from any player. Pei Yuan Shao cannot use "Winning Horses" if he does not have a drawing phase. "Winning Horses" can also be used to take weapons and armor.